Georgia Library Association. Empowering libraries for more than 100 years. 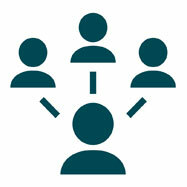 The Georgia Library Association’s (GLA) mission is to provide leadership in empowering and supporting library and information professionals, and the diverse library community. GLA promotes professional growth, fosters innovation, creativity, expertise, and advocacy that advances and sustains library services throughout the state of Georgia. Free webinar by DLG and Georgia HomePLACE. GLA’s Research and Assessment Interest Group's spring meeting Opening Session: Honed Outreach: Leveraging Your Library’s Social Media Presence. Presented by Abbie Holmes. Library advocates play a key role in educating our communities about why libraries are essential in an information society. During its rich 100-year history, Georgia Library Association (GLA) members have united to discuss common interests and to meet the challenges facing libraries. To this day, these talented individuals continue to contribute their hard work, diverse talents, and strong leadership in shaping the future of Georgia’s libraries. 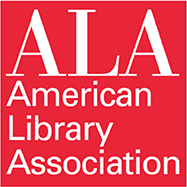 GLA’s strength has been built on its membership, which now includes more than 800 librarians, trustees, paraprofessionals and friends representing school, public, academic and special libraries across the state of Georgia. Joining GLA means becoming part of the tradition of innovative librarianship. GLA welcomes additional members to bring fresh ideas, new energy, and their own rich histories of library experience.